Mahiro. . Wallpaper and background images in the Kiryu 己龍 club tagged: visual kei mahiro. 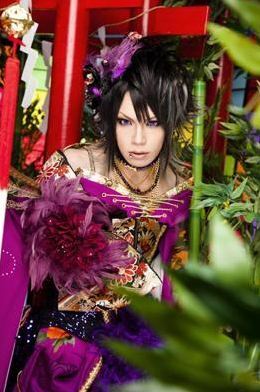 This Kiryu 己龍 photo contains boeket, corsage, ruikertje, bouquet, and posy. There might also be damast roos, de zomer damast nam toe, rosa damascena, zomer damast roos, camelia, camellia, roos, and rosiness.